HONG KONG (Reuters Breakingviews) - Giant lenders like the $290 billion Industrial and Commercial Bank of China are ramping up loans to small businesses at the behest of Beijing. That will check their bias towards large state-owned enterprises. But it ignores perverse incentives at work within the banks and it is a misguided way to stimulate private investment.  HONG KONG (Reuters Breakingviews) - Weijian Shan spent his youth labouring in the Gobi Desert. Now he runs $30 bln at PAG, after stints at TPG and the World Bank. One of the first Chinese to study in America after the Cultural Revolution, Shan discusses trade tensions, and the economic risk of historical amnesia. HONG KONG (Reuters Breakingviews) - Chinese financial xenophobia has thrown a wrench in MSCI's plans to offer up smaller local companies. Days after expanding the weight of mainland shares in its benchmarks, the index provider had to drop a popular tech stock thanks to policies capping foreign shareholdings. If happens too often, its indexes will be less representative of demand, and economic reality. HONG KONG (Reuters Breakingviews) - Mizuho’s harsh medicine gives investors a taste of Japanese banking ills. The country’s second-biggest lender by assets took a $6 billion hit and slashed its annual profit forecast on Wednesday by 86 percent. Losses on dozy rural branches and duff offshore trades are symptomatic of ultra-loose monetary policy. New rules to ease consolidation should at least offer some relief. HONG KONG (Reuters Breakingviews) - U.S. President Donald Trump's hard line on Beijing is softening by the minute. He has tweeted that he will delay hiking tariffs on $200 billion of Chinese goods, citing "substantial progress" on trade talks. He’s easing up on telecoms giant Huawei too. Stock market wobbles have pushed the president toward a quick-and-dirty settlement that will empower Chinese conservatives. HONG KONG (Reuters Breakingviews) - China bears and bulls can pick their data in the Year of the Pig. Stock markets are charging; bonds defaulting. Lunar New Year holiday spending was weak, but January exports boomed. State-owned companies and contradictory industrial and monetary policies are muddying traditional performance measures. They betray an economy going in two directions at once. HONG KONG (Reuters Breakingviews) - Xinjiang is becoming an extreme example of the economic woes ailing China’s poorest provinces. Beijing says it is de-radicalising the Uighur population in the far-western region with vocational training camps. Mass detentions, however, are not helping businesses or jobs, and investment has tanked. It’s the bleeding edge of a damaging capital retreat from the country’s hinterland which has already pushed at least 23 regions to slash 2019 targets: hardly a recipe for revival. HONG KONG (Reuters Breakingviews) - China’s next phase of stimulus depends on the tax man. Industrial bellwether Caterpillar warned this week of cooler mainland demand for its diggers and trucks - a reminder that Beijing will not be building its way out of economic trouble. Monetary policy has remained cautious too. That leaves efforts to reduce the fiscal burden as the best way to get companies spending again. HONG KONG (Reuters Breakingviews) - Trade with China gets the attention these days, but shrinking business investments into and out of the country present a longer-term concern. Inbound funds from overseas grew less than 1 percent in yuan terms last year, to $131 billion. Flows to North America and Europe tanked. Weaker demand is a problem, but deepening suspicions are as much to blame. HONG KONG (Reuters Breakingviews) - Can Sino-American trade disputes be settled on the mat? Don’t expect Xi Jinping and Donald Trump to don tights for a Presidential SmackDown. But don’t be surprised to see Tencent, China’s $370 billion technology champion, tag up with World Wrestling Entertainment to bring more American professional brawlers like Triple H and The Undertaker to the People’s Republic, and build a Chinese league.